-Don’t leave your pets unattended with open flames around like candles, cooking appliances, or a lit fireplace. -Remove the knobs from your stove if you’re going to allow your pet to roam free in your house when you’re gone. The stove or cooktop is the most likely place for your pet to start a fire. -Flameless candles are a great substitute for open flame candles. 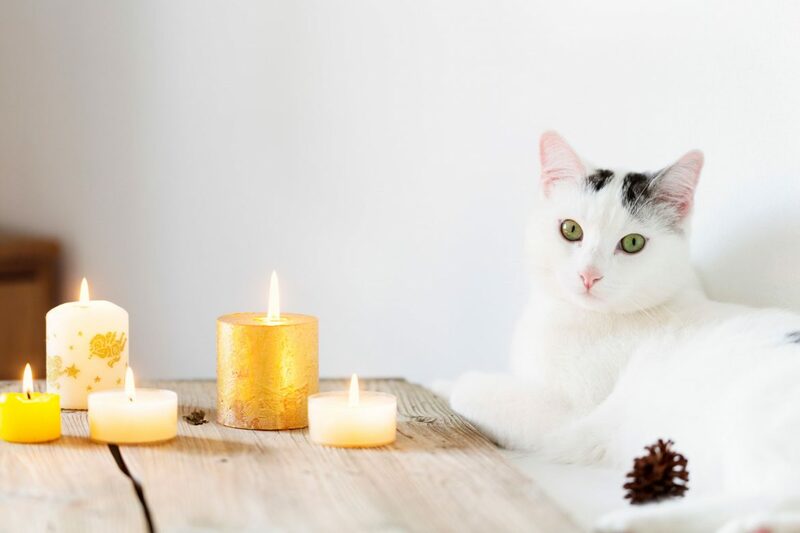 Cats often knock over candles with their tales and start fires.